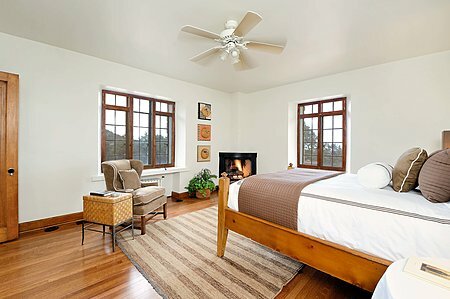 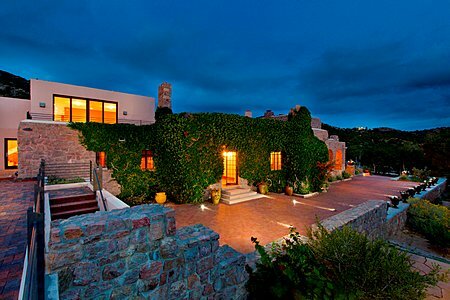 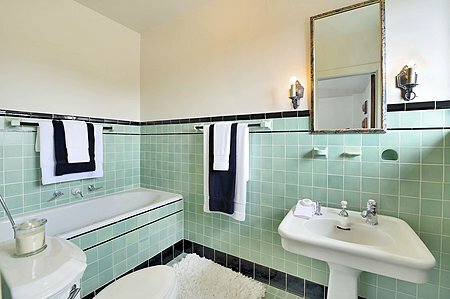 This historic estate, known as Casa La Luna, astounds and delights! 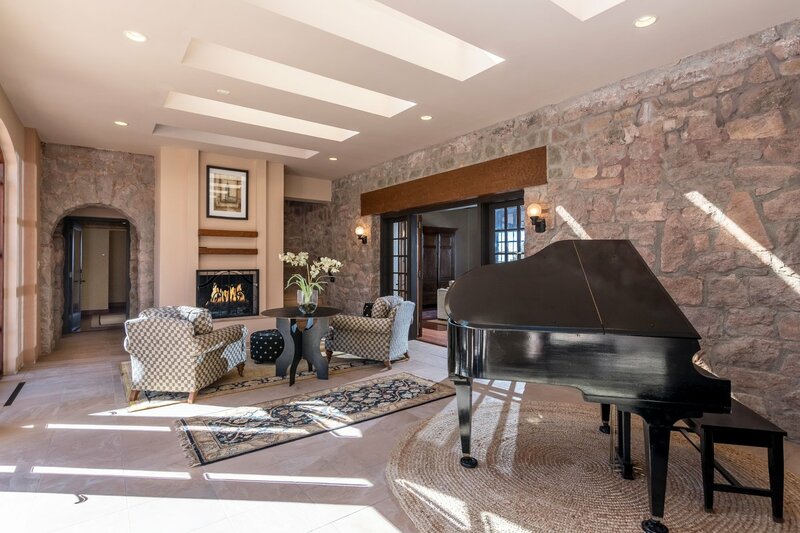 At 13,400 square feet, it has 7 bedrooms and 7.5 baths, 6 fireplaces, and is sited to offer inspiring, all encompassing views. 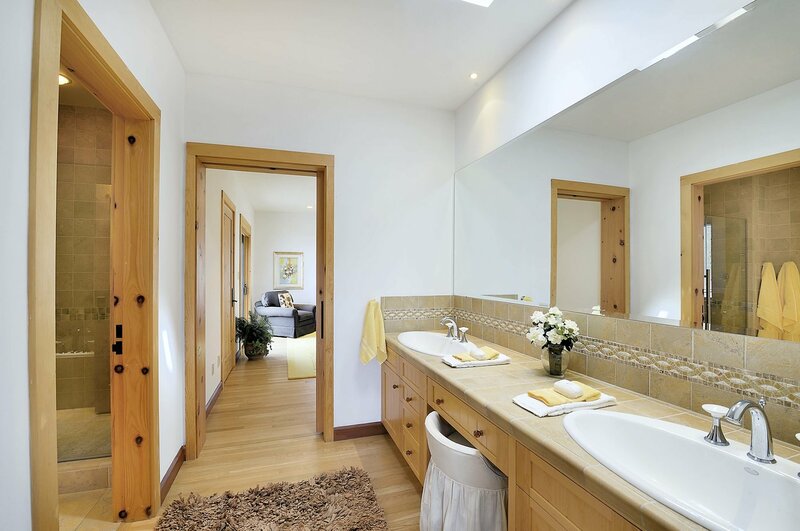 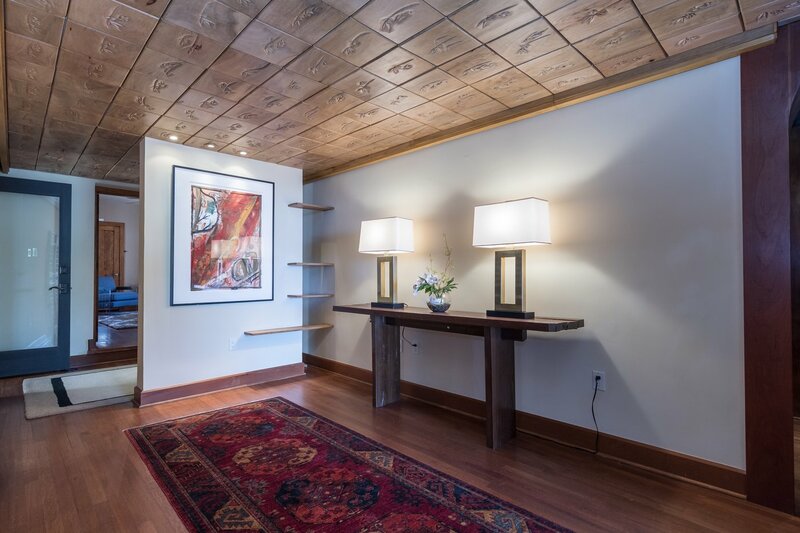 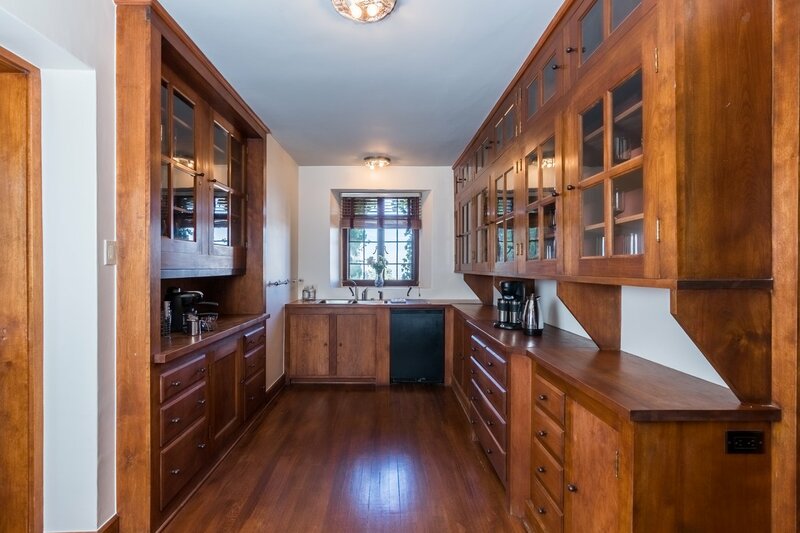 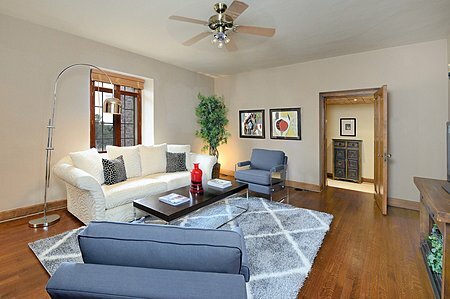 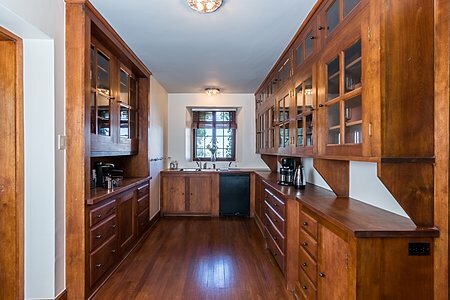 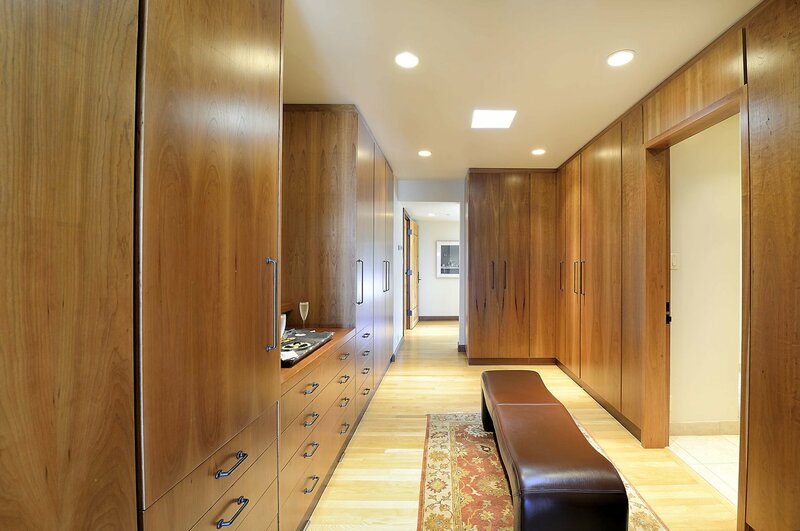 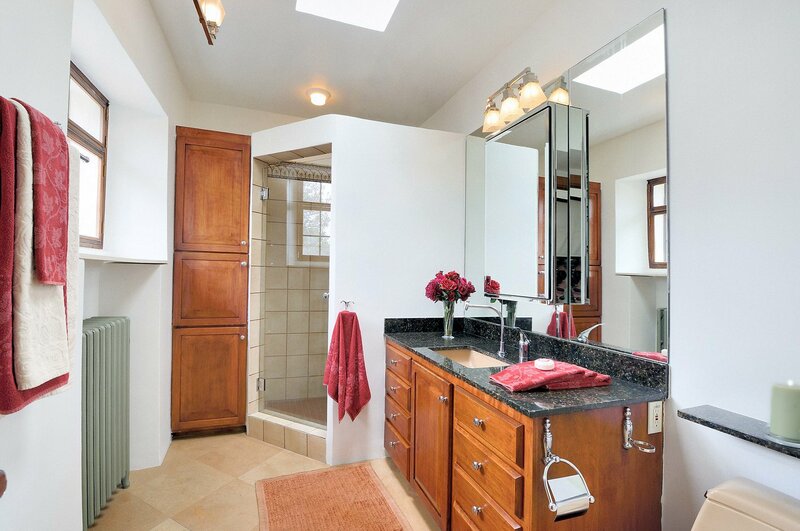 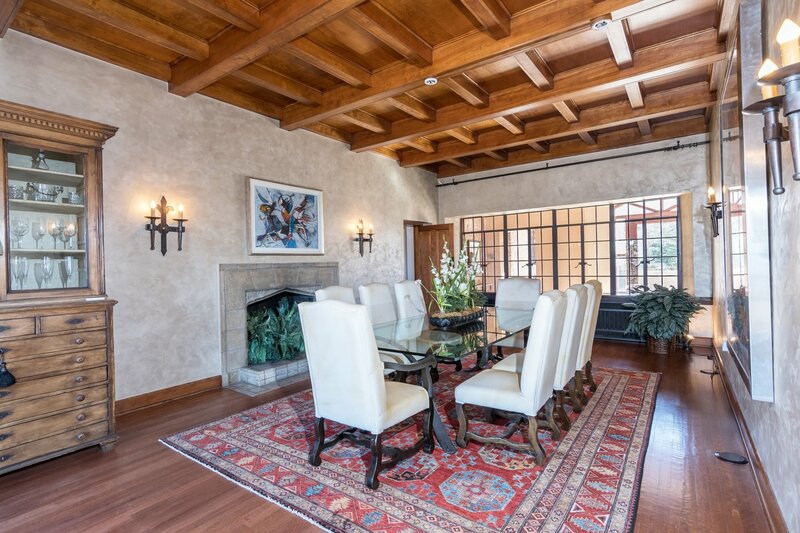 The original house dates to the 1920&apos;s. A new wing was designed by renowned architect Meisa Batayneh, whose deft touch blending the historic and the new is evident. 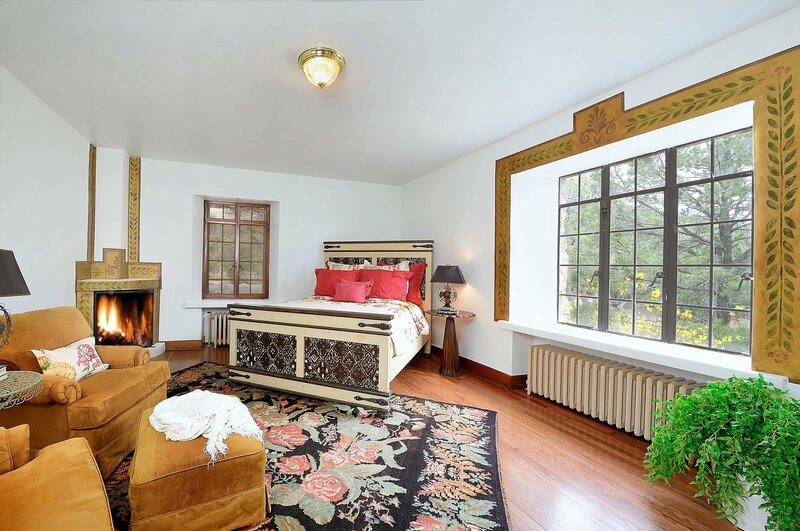 Authenticity abounds, with Rookwood Ceramic Factory fireplaces, cherrywood ceilings and doors, rich oak floors, and William Morris wallpaper. 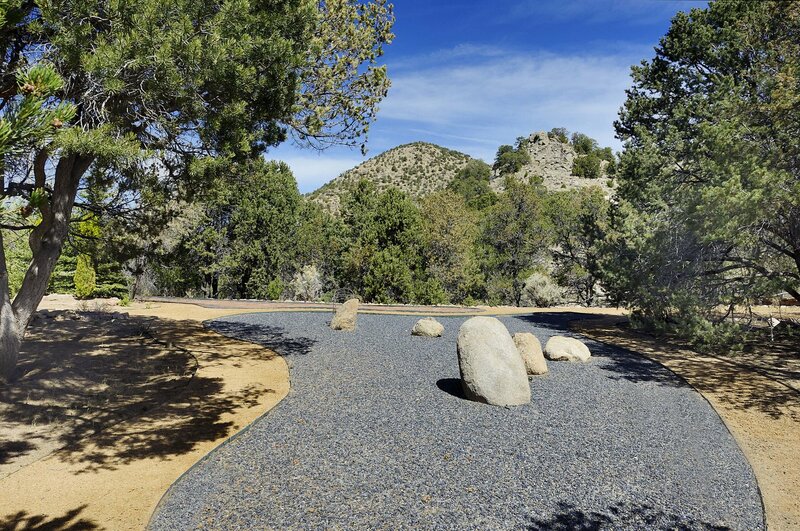 A highlight is the intricate and lovingly crafted mosaic that is a reproduction of one at the ancient church at Mount Nebo, Jordan, believed to have been built in the 4th century. 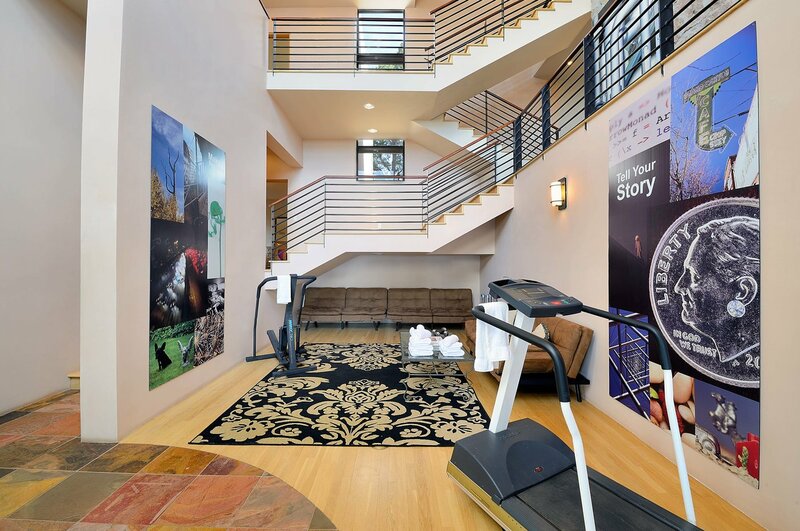 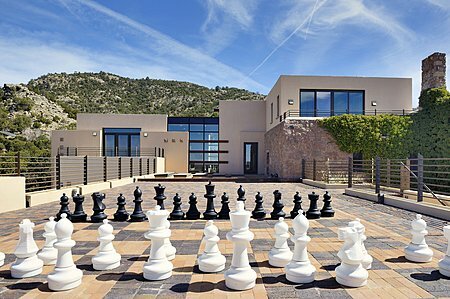 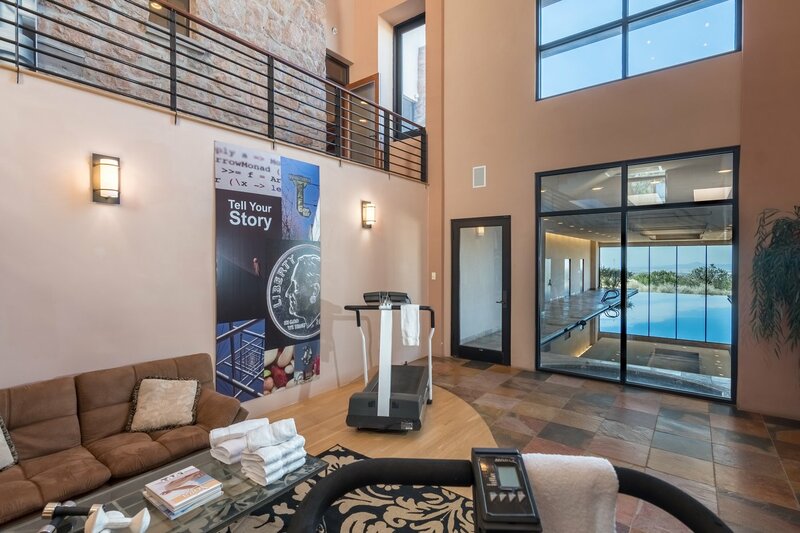 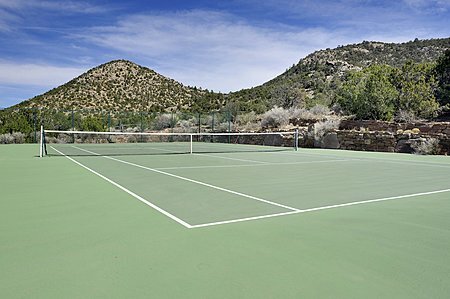 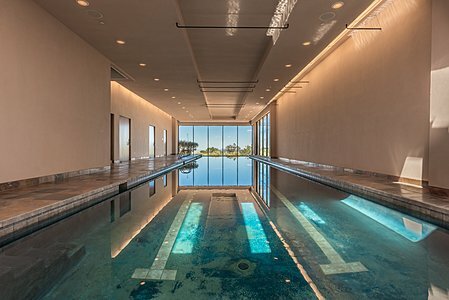 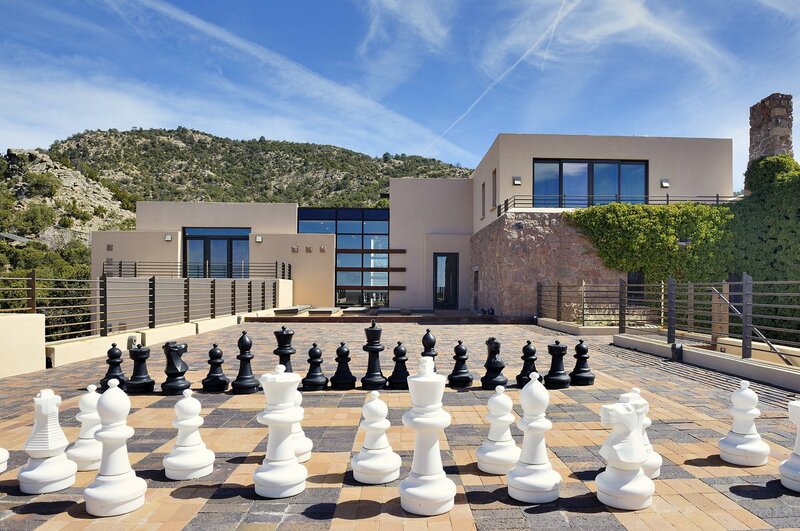 Features include a unique to Santa Fe Olympic length swimming pool, tennis court, a giant sundial, gym, and an outdoor life-size chess game. Art, history, and meaning abound and intersect at Casa La Luna. The granite used in the house was sourced from the building site, and the foyer ceiling incorporates ancient motifs of longevity and welcome. 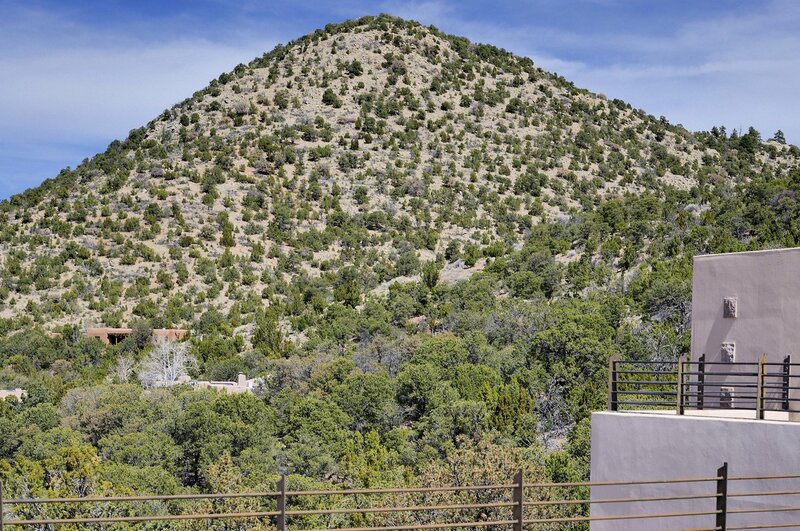 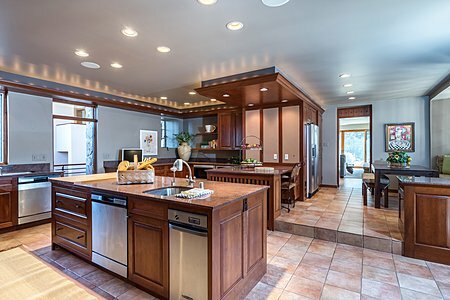 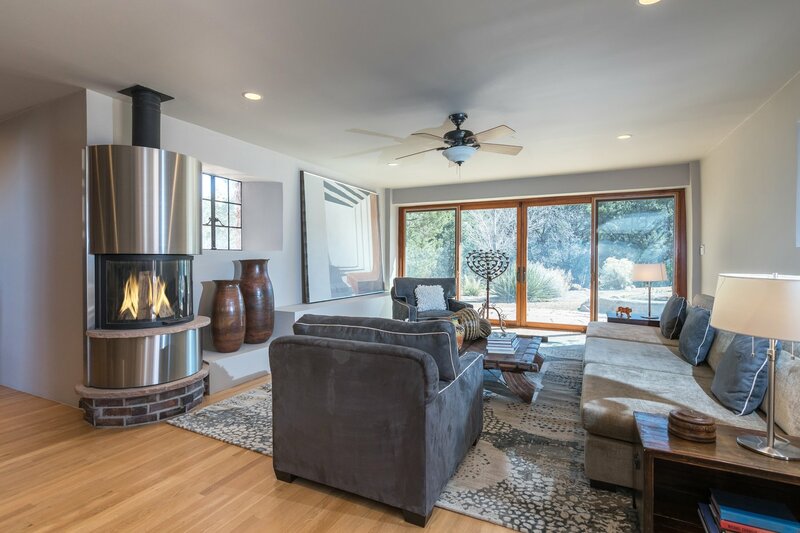 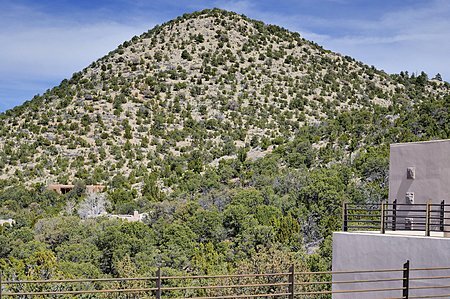 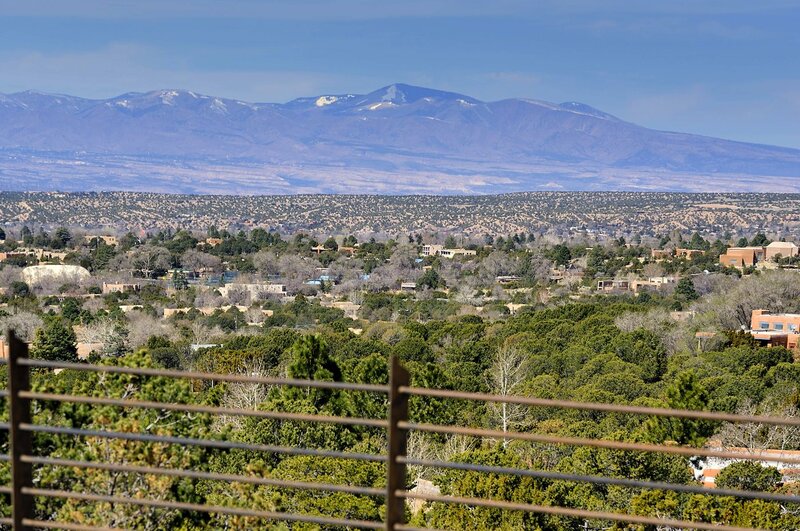 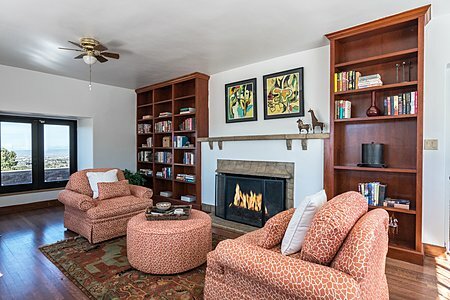 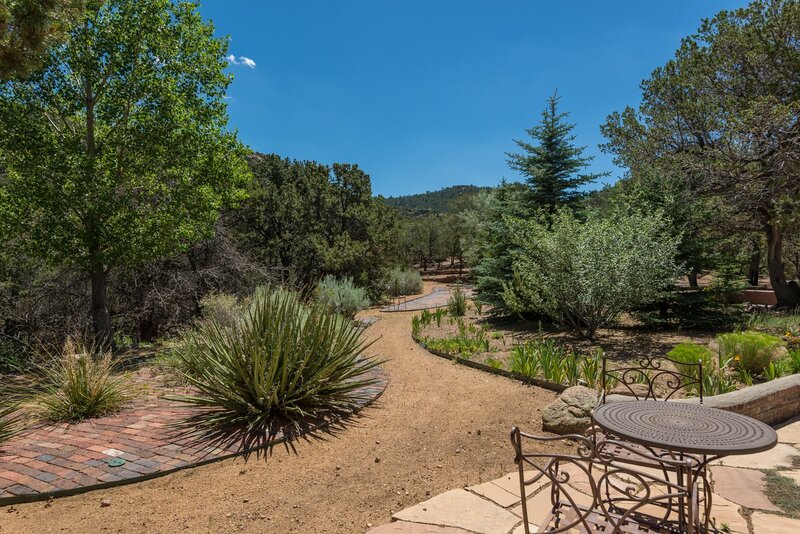 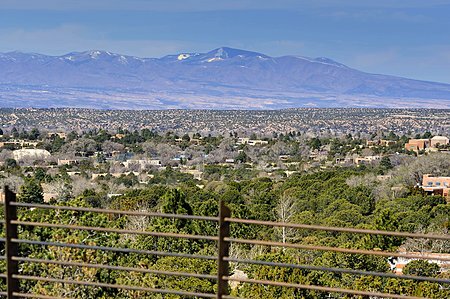 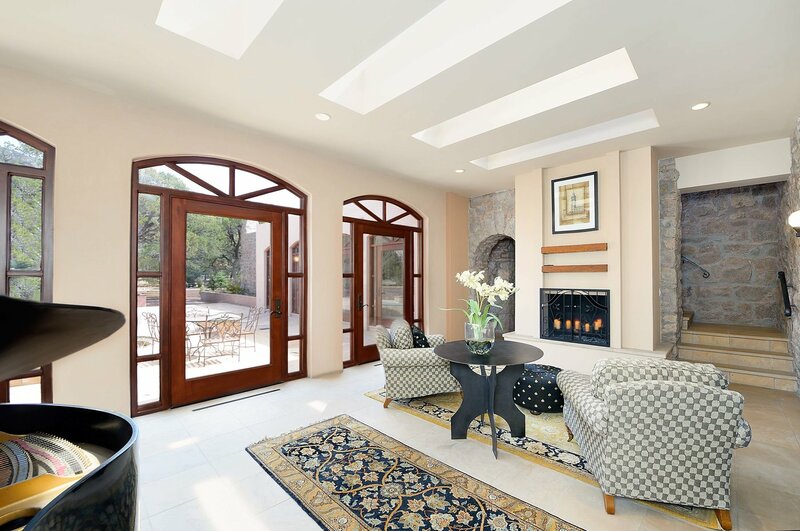 From many spots in the estate you can take in fabulous New Mexico sunsets and vistas of the Sandia and Sangre de Cristo Mountains, the Rio Grande Valley, and beyond. 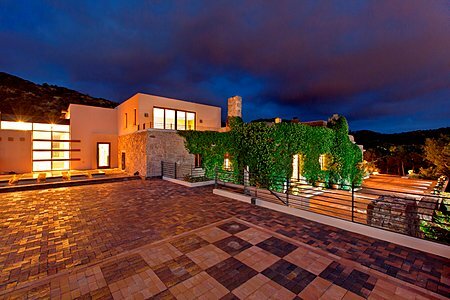 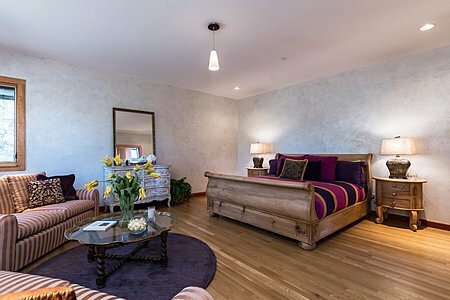 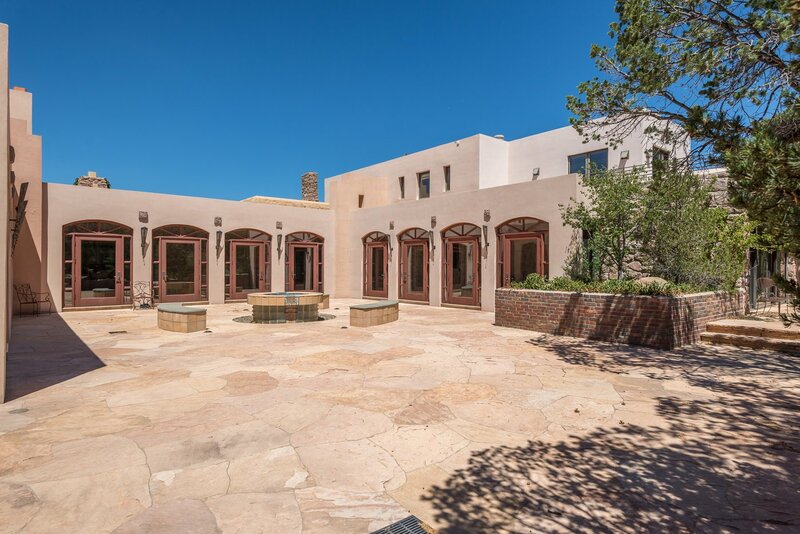 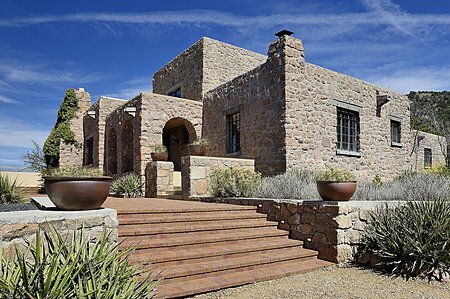 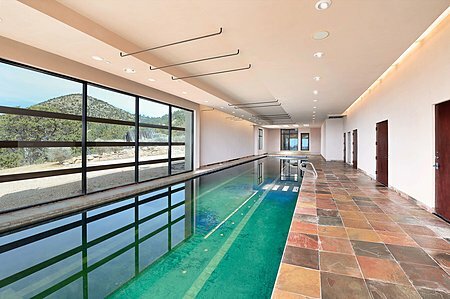 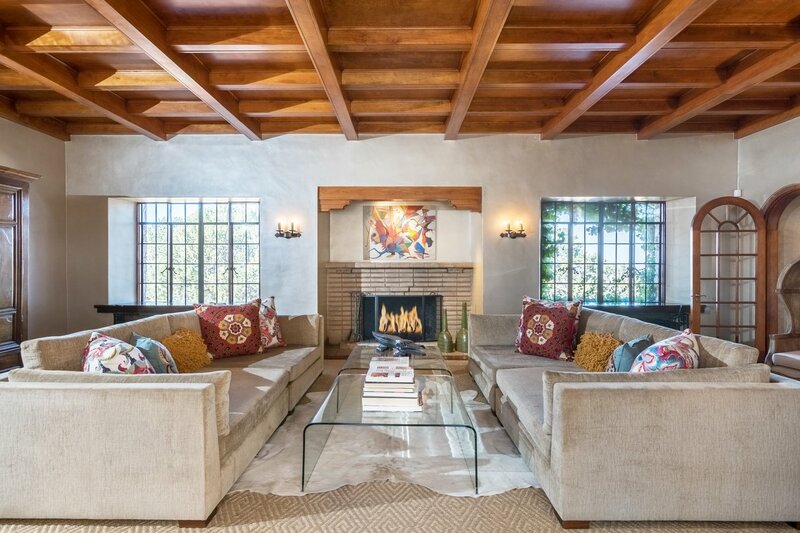 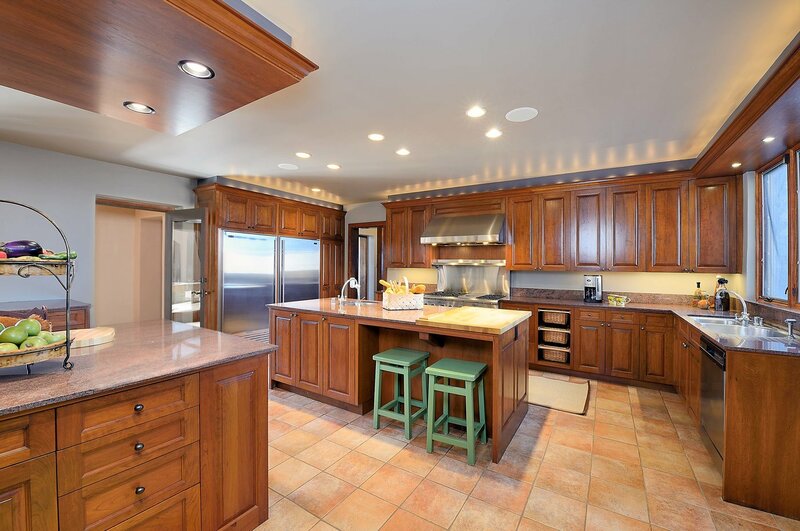 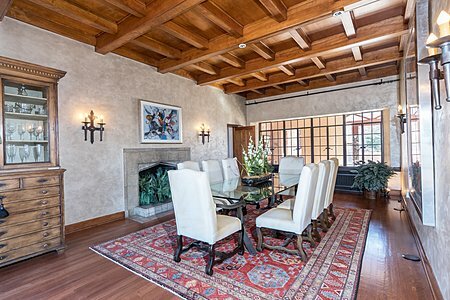 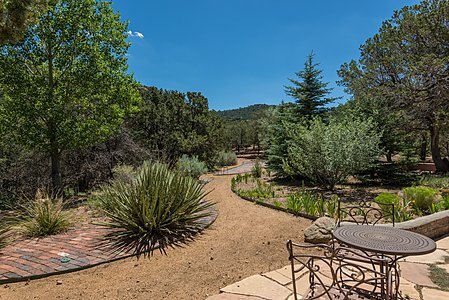 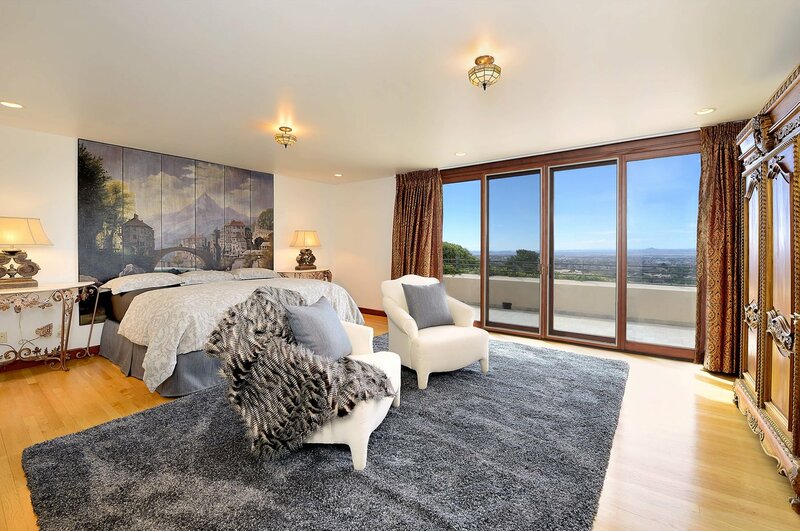 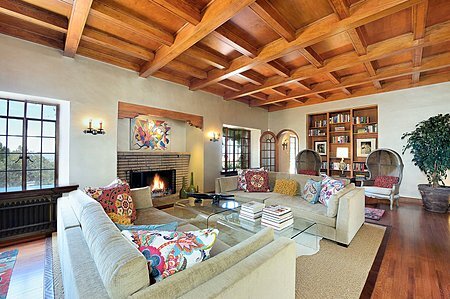 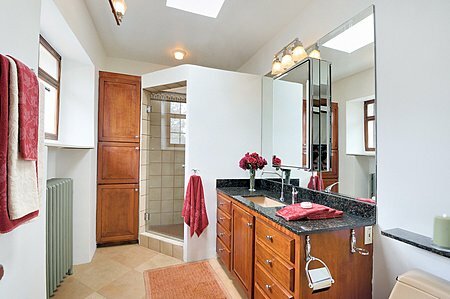 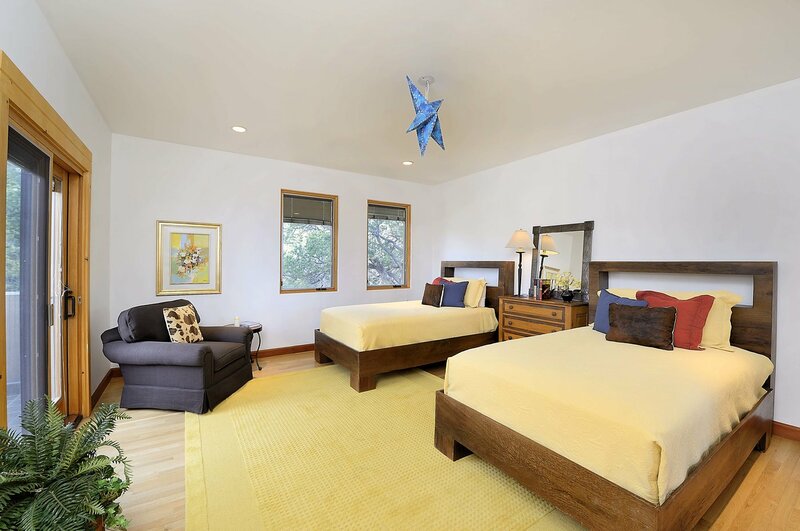 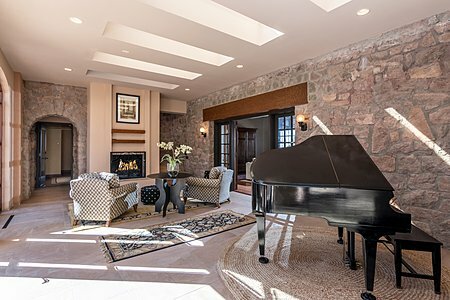 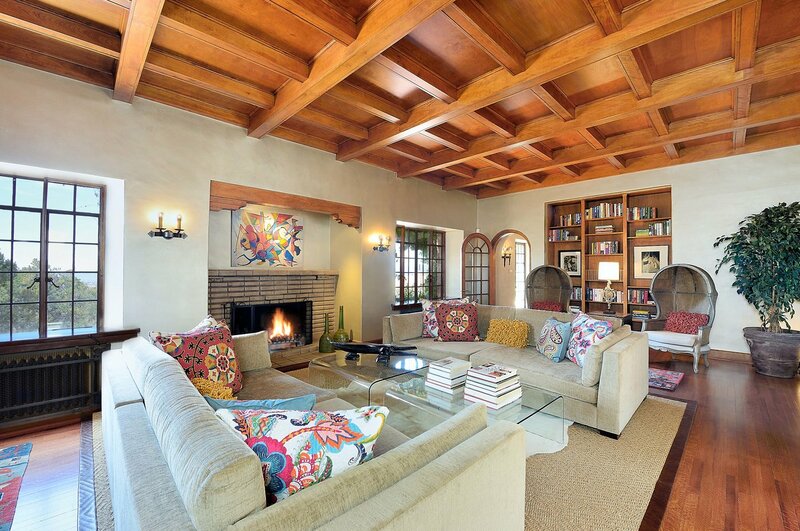 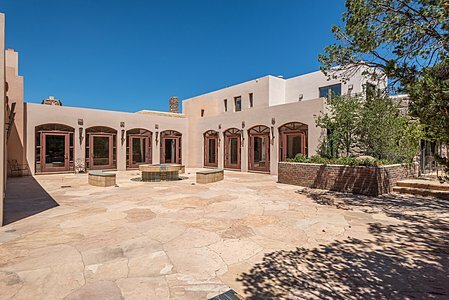 Exceptional quality, truly unique features, history, and abundant artwork make this estate a true Santa Fe treasure.